Applications will be reviewed by the Committee Vendors will be notified by committee within 2-3 days of receiving application. All items MUST be handcrafted by the vendor. A description of each art/craft,3 photos and the creative process must be submitted with the application. All vendors may sell only arts/crafts entered on the application . ABSOLUTELY NO IMPORTS OR WHOLESALE MERCHANDISE MAY BE SOLD. Vendors are required to be present in order to sell their own merchandise. It is not permissible to sell any other person’s merchandise from your booth. Boothspaces are 10 x 10 and will not be held without the signed application AND payment in full. All vendors must make their own provision for sun, shade or rain. No tents, chairs or tables will be provided.Nothing can be displayed in front of a booth or stored behind it. Tables must be covered where no items stored underneath it can be seen. Check-in will begin at 6:00 am All vendors are required to be set up by 8:30am and remain until 5:00 pm. Booth assignments will be e-mailed and available on the DAC website the week of March 25th. 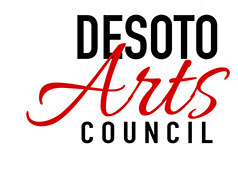 Mississippi Sales tax of 7% must be collected and paid to DAC at end of festival. Forms will be supplied. 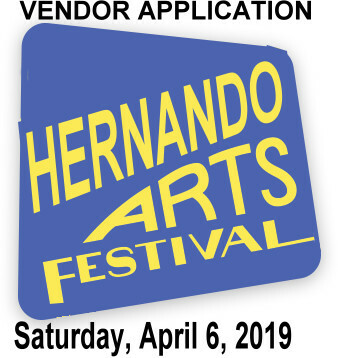 Upon submitting my application, I hereby certify that all items offered for sale by me at the Hernando Art Festival are handmade by me and that I do not offer any items that were bought by me and brought here for resale. I understand that criteria used to determine “hand-crafted” will be at the discretion of the committee and that if I am found to be in violation of this rule, I may be asked to leave and that no refunds will be given.